The relevance of the applicant’s skills for the particular position. The applicant’s motivation to contribute towards the company’s values. We get, why they are concerned about our experience and skills relevant for the job. But why writing skills? How can they be important for a technical position? It’s a paradox, but it’s true: even the best candidate would fail to get an interview with a bad resume. Here’s the problem: the employer can’t interview every single candidate. They base their decisions upon the applicants’ capacity to present their skills, knowledge, and relevance through a suitable resume. It takes a lot of effort to write and design the perfect resume. Whether you like it or not, the employer is judging that talent as well. This is not a traditional resume writing tool, but it’s a very useful addition to any job application. It helps you build a web page in a matter of minutes. You can pull data from LinkedIn and other online resources, so you’ll build a personal page that acts like your virtual resume. It will be like a free online portfolio with great visual appeal. If you’re targeting a creative industry, then this approach will get you bonus points. The hiring managers will be able to see a more graphic interpretation of you as a candidate. Plain, textual CVs are boring. Maybe you’ll include information that separates you from other candidates, but the employer will still be looking at an unappealing piece of paper. That happens if you opt for the usual template. If you use VisualCV, however, you’ll make the document much more creative. Since all job applications are being sent electronically nowadays, it’s okay to include a link to your online landing page, which you’ll design with this tool. This is another online tool that lets you create an online portfolio and CV. It is very easy to use, so you can build an attractive CV in a matter of minutes. Then, you can choose how you’ll share it. You can publish it online, so potential recruiters can find you. You can also send a discreet weblink in an email, or you can download your CV as a PDF or MS Word file. Okay, this website looks rather pedestrian at first sight, but that’s not important in this case. The important thing is that it shares awesome tips on resume writing, as well as templates you can use as examples. The problem with templates is that they can lead to a mainstream resume that the hiring managers see every single day. Use these templates only to understand how a professional resume should look like. Then, think of a creative approach and add a personal dimension to your own resume. What if you can’t write an attractive resume no matter how hard you try? What if the application deadline is close and you’re nowhere near to crafting the perfect document? In that case, automated software and templates won’t help. You need to rely on a professional resume writer. AustralianWritings is a service that connects you with experienced and knowledgeable resume writers. They will take your dry details and turn them into an impressive resume. Infographic resumes are a huge hit. They are highly visual. The employer can easily process the information and see the details you emphasize. You can include an infographic resume in an online application, but it will also look great if you print it out. The question is: how do you make it? Easel.ly is a nice tool that allows you to create infographics even if you don’t have advanced design skills. This free tool will turn your details into a properly formatted resume. You can choose between different templates and experiment with few types of design. The tool is good for seeing how your resume can look like, but be careful: it won’t give you a completely unique resume. You can make it more creative by adding unusual details. If you want a resume that’s light on the text, but heavy on design, Kinzaa is the right tool for you. The wizard will take you through all steps of the design. All you need to do is provide the needed information or import it from your LinkedIn profile. You’ll get a good infographic resume and a link you can share with potential employers. This is another online resume builder that lets you complete the document without much effort. The same warning again: you have to invest some effort to make it stand out. If you use this tool, your resume will be based on a template that’s widely available. The advantage of Resume.com is that it has nearly two millions of published resume. Many people use it to craft their online resume. Thanks to the reputation of this tool, the potential employer will recognize the link and click on it. This tool allows you to publish multiple resume versions, so play with the edits to find the perfect fit. 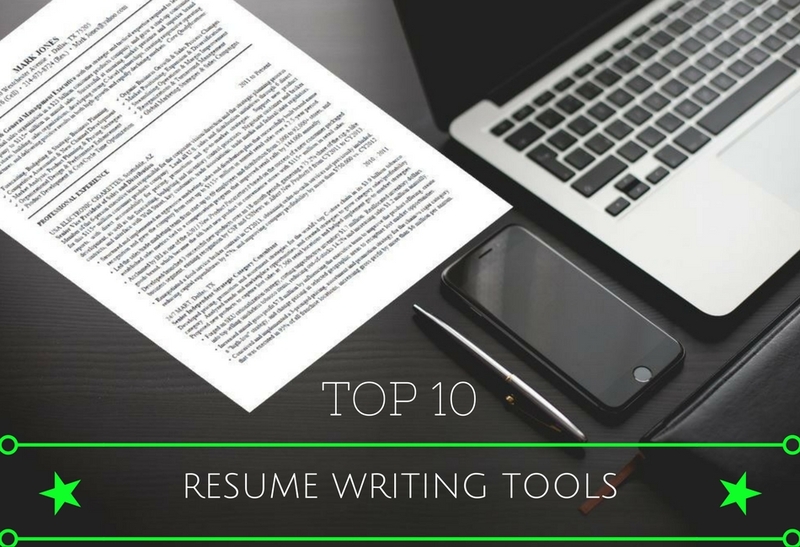 Most Google Docs users don’t realize that their favorite tool also includes resume templates. You’ll find examples of creative, traditional, bold, and other types of resume. If you decide to use that template, Google Docs will let you edit it right away. It doesn’t get easier than this. You just need some creative writing skills, and you’ll have a printable resume in minutes. Resume writing is a stressful task. You want to present yourself as the best candidate, but your skills are similar to the ones many other applicants present. Thanks to the 10 tools above, you’ll be able to craft a creative document that gets you noticed. Author Bio: This is a Guest Post from Jessica Freeman. She is a blogger and freelance writer from Sydney, Australia. She enjoys covering various topics, from education and technology to motivation and productivity. She also has her own blog where she presents top writing tips. Follow Jessica on Google+ and Twitter.